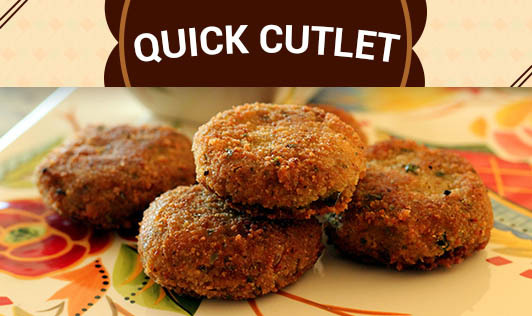 Here's a nutritious cutlet recipe which can be prepared as a healthy and tasty snack for children. 2. Then add the rest of the chopped vegetables and daal. 3. Then add all the other ingredients other than semolina and mix well. 6. Serve it with dhania /onion chuttney or tomato sauce. Tip: You can also use the leftovers with brown bread to make quick cutlets.